The Alarm Indicator panel M4600 is intended for status indication of any process providing on/off outputs. The panel contain 6, 8 or 20 channels, respectively. We will take contact to you within 24 hours. 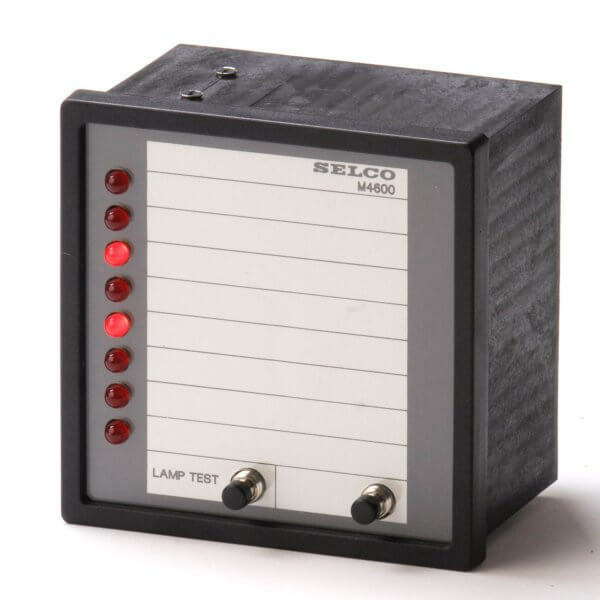 The SELCO M4600 provide flush mounted LED based indication with 6, 8 or 20 channels. Each channel can be used to indicate the state of one potential free contact. The SELCO indicator units are available with either negative or positive reference. An insert paper label provides the opportunity to print a description or instruction right next to the related channel LED. The SELCO indicator units are available for both DC of AC supply. Input signals can be +24 VDC, +48 VDC or +110 VDC. Click here to find your local distributor.